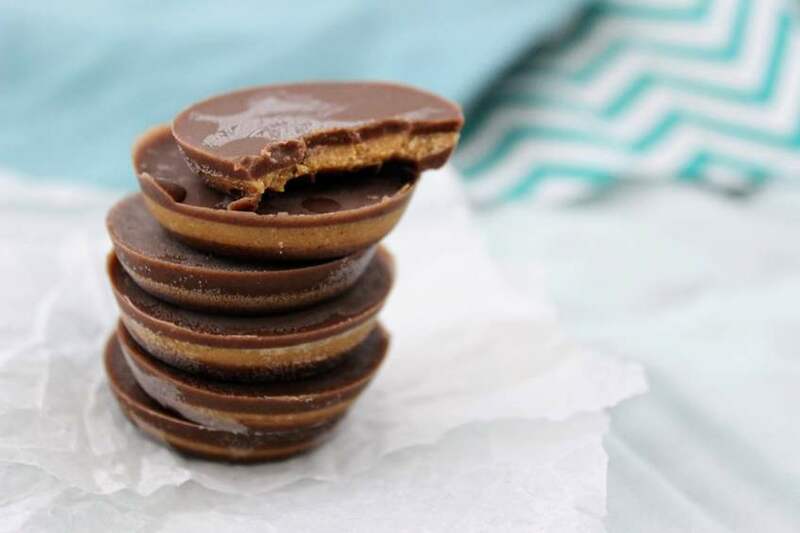 NOT your typical keto peanut butter cups–these low carb peanut butter cups are also here to solve your keto constipation woes. The psyllium husk fiber in these chocolate peanut butter fat bombs will help move things along while also being dairy free, sugar free, vegan, and gluten free! This was my very first fat bomb I ever made. If you’re a follower of Keen for Keto, you know that I didn’t start doing the keto diet before starting this site (I needed to be sure I had an arsenal of recipes and research to bolster me up on those difficult days!). So when I made this fat bomb, I was still eating a healthier version of the standard American diet. I was surprised to find that these were still tasty to me and my non-ketofied taste buds. You know what I’m talking about. 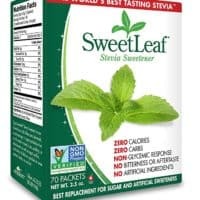 All of us have had a non-keto friend or family member try our “sweets” only to tell us how nasty they are. Their taste buds aren’t used to not having sugar! Or maybe you remember that same problem when you began doing the keto diet. Or…maybe you’re suffering from it right now. If you’re in the last camp, all I can tell you is to keep pushing forward. Give your body time to adjust. I once heard that it can take months to years to change your taste buds. Those zero carb treats might not taste like treats right now, but they will in time! That being said, this is a good one to start with. In fact, any chocolate peanut butter combo (like this amazing Chocolate Peanut Butter Cheesecake) seems to be a good starting place for a ketogenic treat! 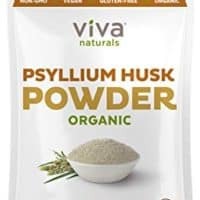 Why Psyllium Husk Fiber for These Keto Fat Bombs? Now to the good stuff. Oh yes. You have a problem and I’m going to solve it. There’s a reason I put psyllium husk fiber into these fat bombs. Two reasons, actually. You may or may not have experienced this yet, but as your body tries to adjust to this new way of eating, things might not function they way they normally do at first. You might get a little constipated. There are a few reasons for this. The first reason is that you’re very likely just not eating as much because you’re satiated a lot easier. So there’s not much bulk there to push out. The keto diet has a diuretic effect, at least at first. Putting it simply, carbs make you retain water, so when the carbs go, you feel the “whoosh” of weight loss–which is the water weight–and with that whoosh goes a lot of important electrolytes. Learn more about the keto diet here! Magnesium especially helps with bowel movements, but you may be deficient in other electrolytes, too. Also, a lot of people start the keto diet out going crazy with meat. There’s no need for that. Meat is easy because it’s high in fat and protein, but don’t neglect your leafy greens and other veggies. Those are whole food sources of fiber and water content to keep things moving, not to mention other nutrients your body needs. Now, I want to add a caveat to these peanut butter cups right now. Now that you know the reasons your gut is constipated, you know that supplemental fiber is NOT the best answer to solve the problem. Stay hydrated, take an electrolyte supplement, eat your leafy greens. Eventually I’ll review some of the books I’ve been reading that include the latest research on probiotics and prebiotics. There are a lot of fascinating things being brought to light, and some of it really changes the way I’ve always thought about gut health and the role of fiber. BUT, these fat bombs are a great supplement, too, if you need a little extra help (especially for keto beginners!). And if you didn’t know, psyllium husk fiber is a wonderful prebiotic fiber that feeds the good bacteria in your gut, again, helping to keep things moving along. Psyllium husk fiber is one of those awesome high fiber foods. 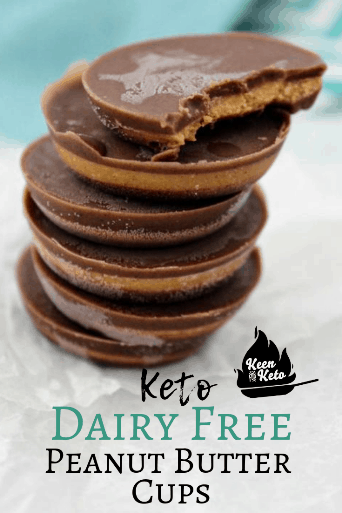 These keto peanut butter cups are a delicious and gentle way to fight keto constipation and keto bloating while increasing your fats to get your macro counts right at the same time. The second reason has nothing to do with health and everything to do with texture. Reese’s peanut butter cups aren’t exactly smooth. They have a slightly gritty texture in the peanut butter centers that can be replicated by adding psyllium husk fiber. 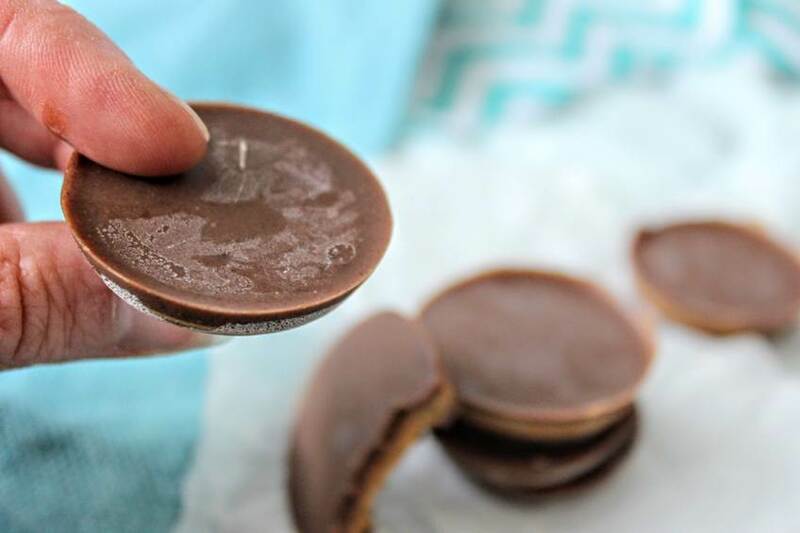 The psyllium husk fiber and nutritional yeast both really help to give that authentic texture and taste to these peanut butter cup fat bombs, with a healthy snack twist. Need more KETOGENIC FAT BOMB RECIPES? Be sure to choose natural peanut butter for this recipe. 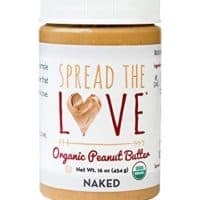 You’ll want to check the ingredient label to make sure that your peanut butter doesn’t have any added sugars or vegetable oils. It should just say “peanut butter” and maybe salt, too. Vegetable oils are not a healthy source of fat. 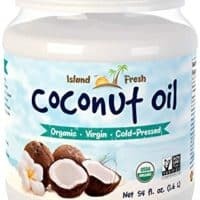 In the process of going keto, if we’re trying to use fats for energy instead of carbs, it makes sense to choose the better fats. 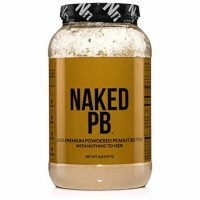 If you’re allergic to peanut butter or are trying to strictly stay away from legumes on your version of keto, go ahead and use another nut or seed butter. This recipe definitely lends itself to substitutions. A lot of people are doing keto to avoid inflammation. If that’s you, this fat bomb is a great addition to your recipe box. It’s dairy free, gluten free, grain free, vegan, and sugar free. If peanut butter sets off inflammation for you, replace it with a nut butter or seed butter your body can handle. Some people like their peanut butter to chocolate ratios different than I do. I like mine pretty equal, or even slightly less chocolate to peanut butter. You can adapt this recipe wherever your preference lies! If you like a thin layer of chocolate, just use less. 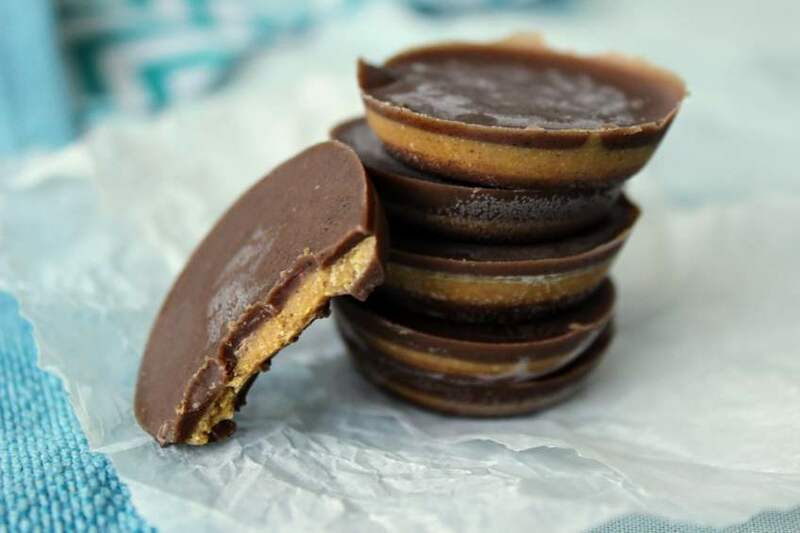 These keto peanut butter cups will hold up to alterations. Enjoy! 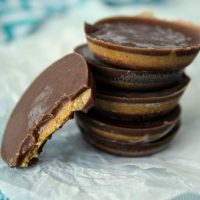 These keto peanut butter cups are a delicious and gentle way to fight keto constipation and keto bloating while increasing your fats to get your macro counts right at the same time. 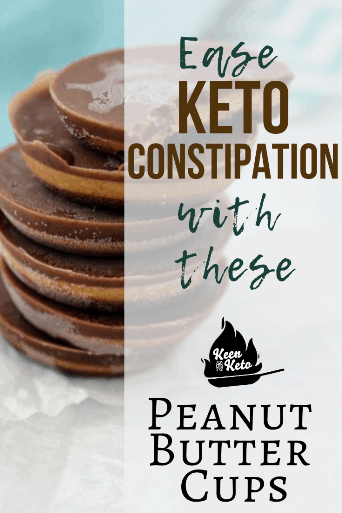 While I’ve never had constipation issues on keto, these are still my go-to keto peanut butter cups! If you like this recipe leave a 5 star rating below in the recipe card! Thanks!! 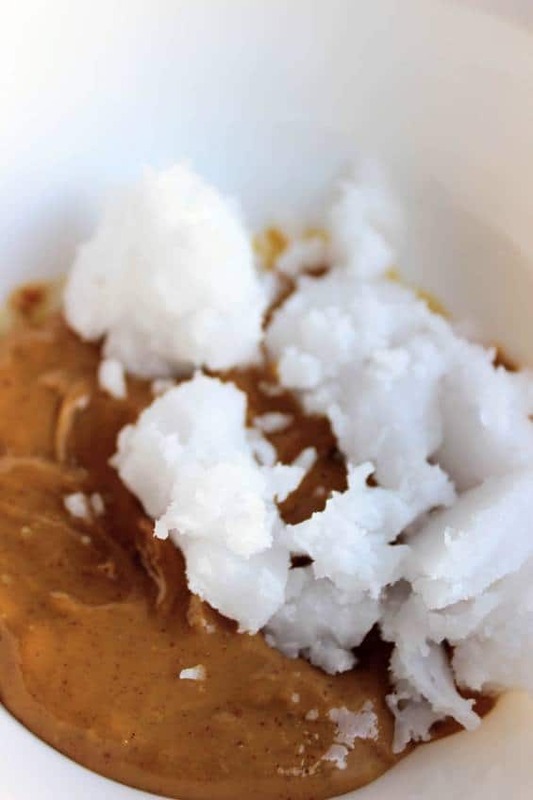 Place peanut butter and coconut oil in a microwave-safe bowl and microwave for 20 seconds at a time, stirring between 20 second periods until melted. 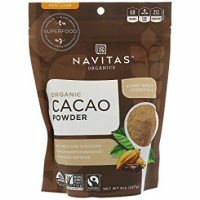 Stir in vanilla, cocoa powder, and stevia until completely smooth. 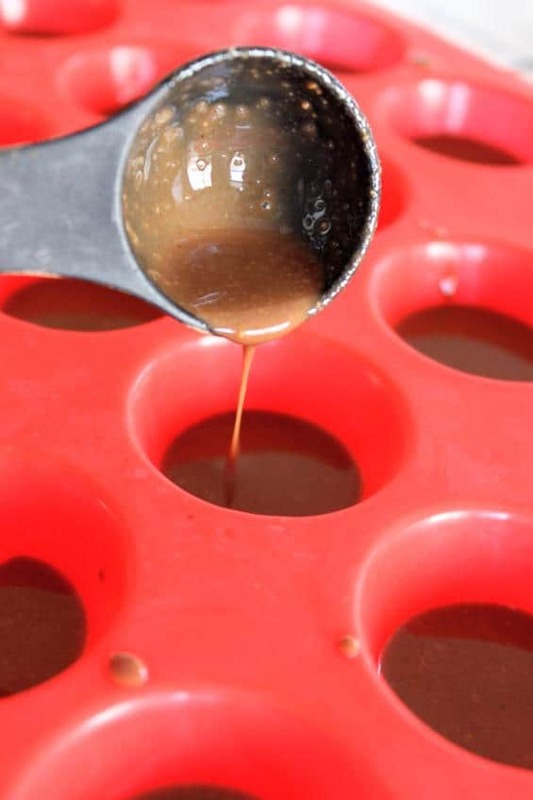 Pour a small amount into the bottom of your mold, about ¼”. 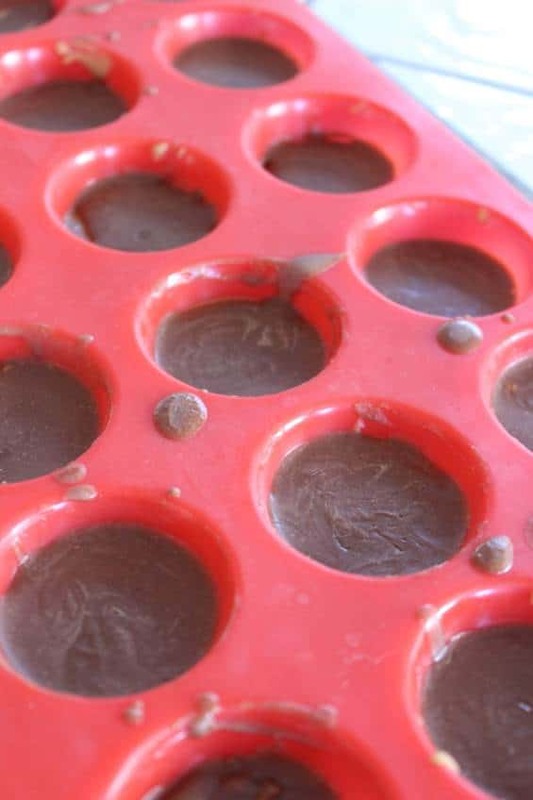 Place mold in freezer for 5 minutes while you make the peanut butter filling. 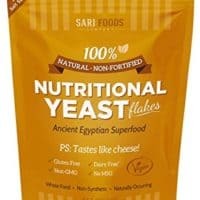 Add vanilla, psyllium husk fiber, nutritional yeast, peanut butter powder, and stevia. Stir until completely smooth. Remove mold from freezer. Pour peanut butter filling on top of the chocolate layer (about ¼”). Return mold to freezer for 5-8 minutes or until peanut butter filling is set and no longer jiggly when tray is gently shaken. 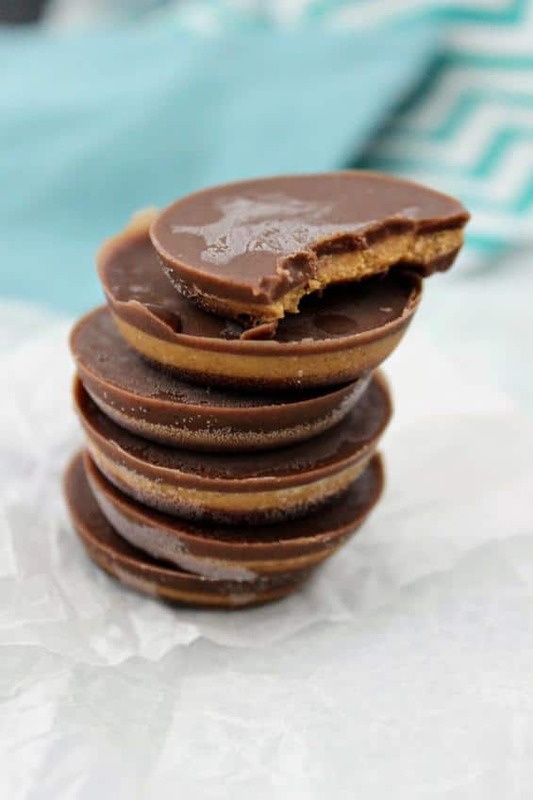 Remove mold from freezer and pour the remaining chocolate on top of the peanut butter filling, dividing evenly. Return the mold to the freezer and allow to freeze for 30 minutes. Pop your peanut butter cups out of the mold and enjoy! Store in an airtight container in the freezer. 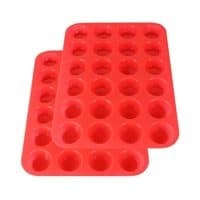 Makes 24 fat bombs when using the tray linked below.